Providing helpful resources is at the core of the work of Racial Equity Minnesota. 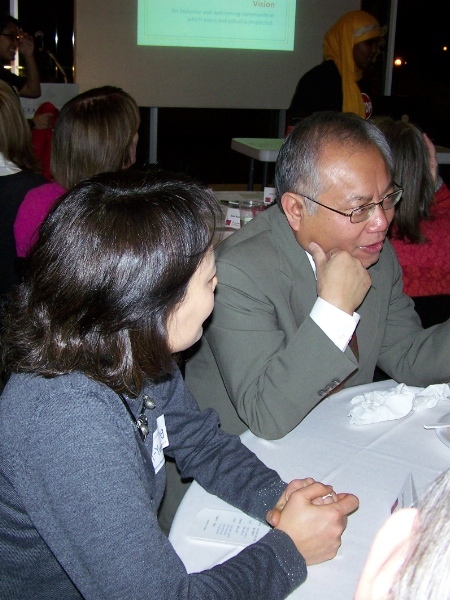 > A nonprofit organization in a small city exists to promote racial harmony through dialogue and understanding but found its curriculum would benefit from using the foundation of a Racial Equity Minnesota member's dialogue program. With its supply of high-quality, cutting-edge materials, the member updates the organization's materials to provide a multi-session curriculum packet and to train the organization's facilitation team in use of the new curriculum. > The racial equity officer of a public school district heard about insightful nature of the study materials utilized by a Racial Equity Minnesota member. He orders a copy of the reading manual for a multi-session dialogue circle for his own personal and professional study. > A line of persona dolls offering realistic portrayals of diverse children are used to help children learn about human differences. Teachers integrate the dolls into classrooms and the children become friends with the dolls and learn about cultures and race. > A midwestern state's Department of Education was seeking to prepare its students for teaching in real classrooms. The agency contracted with a Racial Equity Minnesota member to provide materials and training to staff from all college and university elementary education departments to prepare for the bullying prevention law enacted statewide.